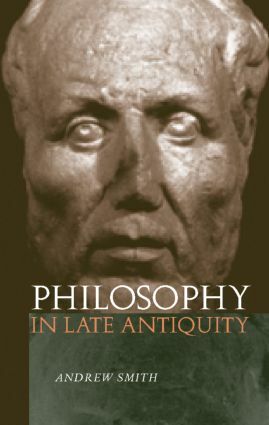 Philosophy in Late Antiquity provides an essential new introduction to the key ideas of the Neoplatonists, which affected approaches to Plato as late as the nineteenth century. Andrew Smith shows how they influenced Christian thought and his approach not only allows us to appreciate these philosophical ideas in their own right, but it also gives us significant insights into the mentality of the age which produced them. Andrew Smith has been Professor of Classics in University College Dublin since 1992. His main interest is Greek philosophy, especially Neoplatonism; his previous publications include Porphyry's Place in the Neoplatonic Tradition and the Teubner edition of Porphyry's fragments.